When grilling, I often throw a few cheese-stuffed, bacon-wrapped jalapenos on first as a quick and easy appetizer. They’re often my favorite part of the meal! This casserole keeps the tasty flavor of that app but requires no fussy stuffing or rolling. Whether you’re looking for a scrumptious side, a crowd-pleaser for a potluck or a delicious party dish, this melty, creamy, spicy casserole is just what you need. My version of this casserole uses a combination of green bell pepper and jalapeno for a stronger pepper flavor without too much heat. Seasoning the potatoes well is essential. Heat oven to 425 degrees Fahrenheit. Coat a 9-by-9-inch baking dish with cooking spray. 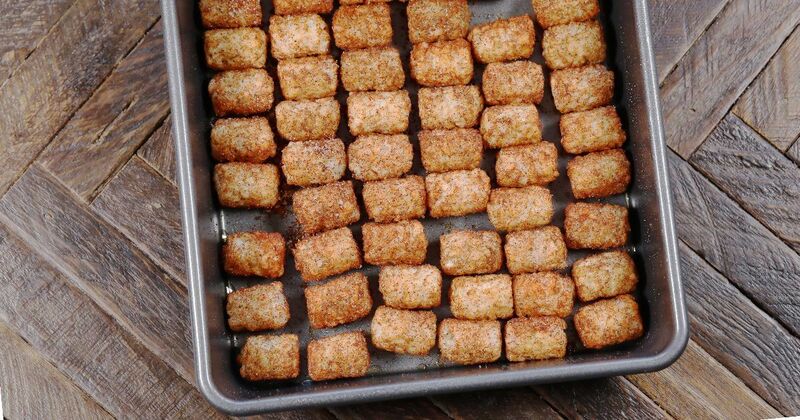 Toss hash browns or Tater Tots with salt, pepper, paprika and chili powder. Spread evenly in baking dish. Bake for 15 minutes. 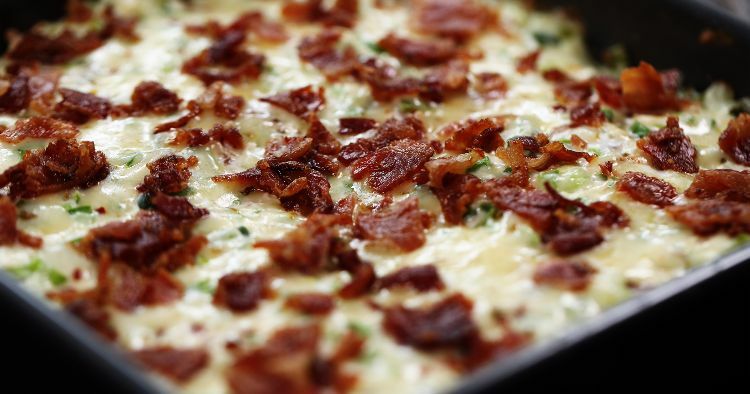 Mix together cream cheese, ½ cup sour cream, jalapenos, green onions, 1½ cups pepper jack, ½ cup bacon and bell peppers. Spread mixture over the potatoes and bake another 10 minutes. Top with reserved cheese and bacon. Bake 15 minutes, until bubbly and golden brown. Serve with the remaining sour cream. Pro tip: Make this casserole into a satisfying meal by adding a layer of shredded cooked chicken between the potato and cheese layers.